We’ve already seen Atmel started shipping its SAM V71 Xplained Board based on its latest Cortex M7 a few days ago, but Atmel is not the company which recently introduced a Cortex M7 development kit, as ST Micro also launched an STM32F7 Cortex M7 development kit with Arduino headers and 4.3″ LCD at the end of June. 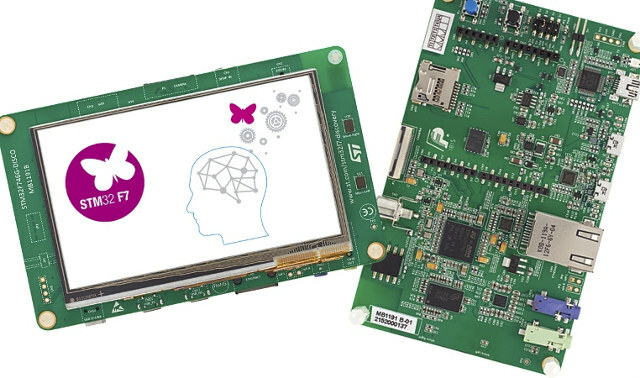 The board supports various development toolchains such as IAR EWARM (IAR Embedded Workbench), Keil MDK-ARM, GCC-based IDEs (free AC6: SW4STM32, Atollic TrueSTUDIO,…), and ARM mbed online. 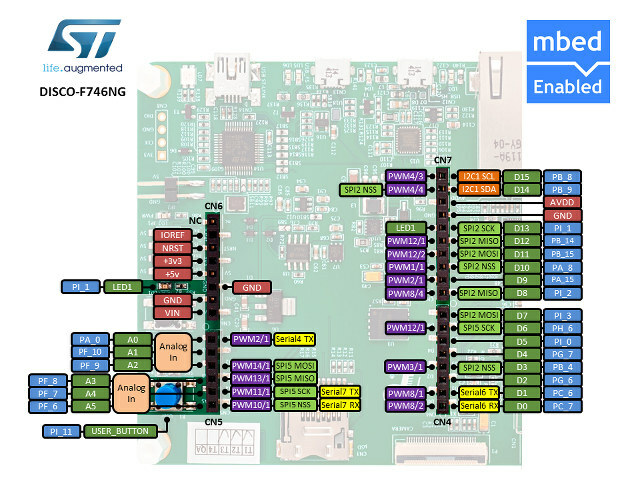 The company also released STM32CubeF7 embedded software for STM32F7 series which includes low level drivers, USB, TCP/IP, File system, RTOS, Graphic and more. You’ll need a Windows XP, 7, or 8 computer to use the board, because the drivers for ST-LINK/V2-1 are only available for Windows. One developer got hold of the board and wrote a C program showing some of its graphics capabilities. You can find more details, including the board’s user manual and hardware design files, as well as purchase the board on STM32F746G-DISCO product page.